Subscription boxes have increased in popularity recently. We are tempted by monthly deliveries of geek merchandise, toiletries and even tea! 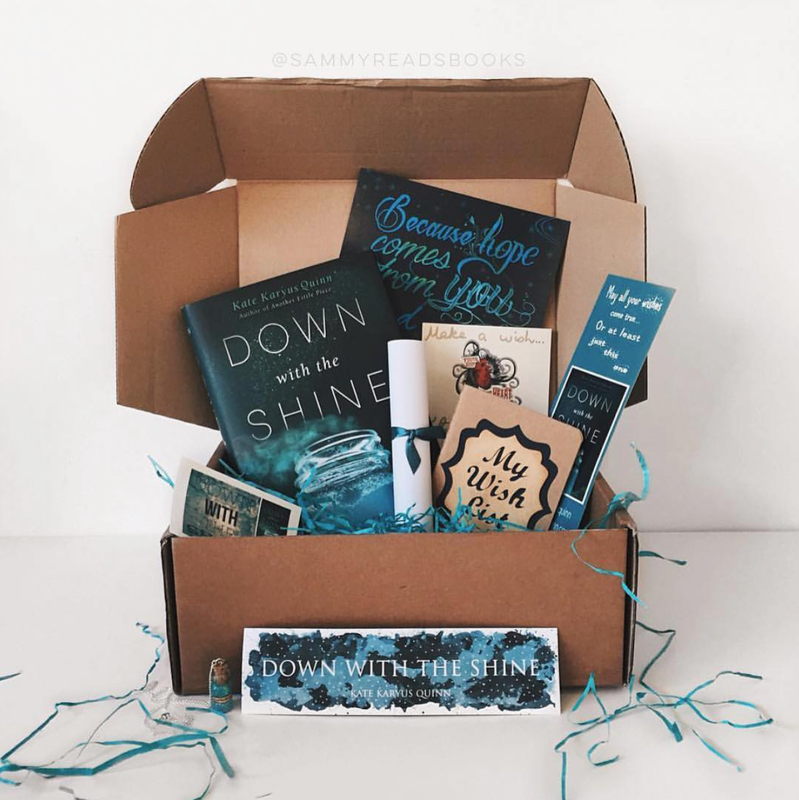 Just a few months ago, I attempted to discover whether there were any literary subscription boxes to tempt my interest. There were many U.S. based services, but seemingly few in the U.K (at least, none of which piqued my interest). In retrospect, I probably wasn't looking hard enough, or perhaps I didn't Google using the ideal search terms... More recently I discovered a few via the #bookbox tag on Instagram and renewed my search. This time I was able to track down rather a lot, 18 in fact, which serve a wide variety of interests to suit any bookish subscriber who would prefer a more local delivery. 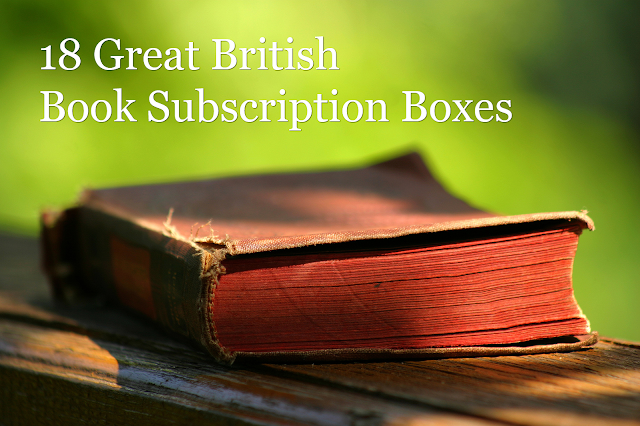 In this post, I present 18 great British book subscription services. Please let us know your favourites, or if there are any services I have missed, in the comments section below. The Bookishly team are book lovers based in Northamptonshire who create literary gifts, stationery and jewellery. 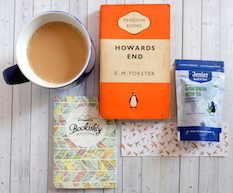 Their Tea and Book club contains a monthly package of a surprise vintage paperback, 4 luxury teabags and some beautiful Bookishly stationery and costs just £12 a month. An alternative package for coffee-lovers is available for £9, but this doesn't include any stationery. 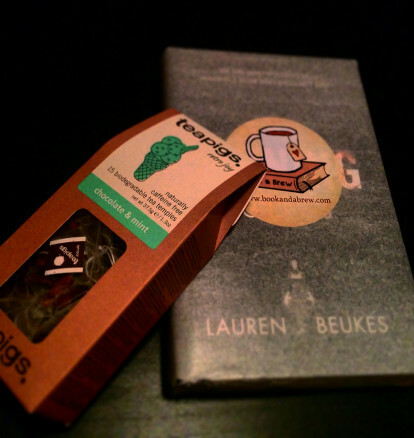 Find out more about the Tea and Book Club here. Prudence and the Crow is operated by a pair of book lovers in London. 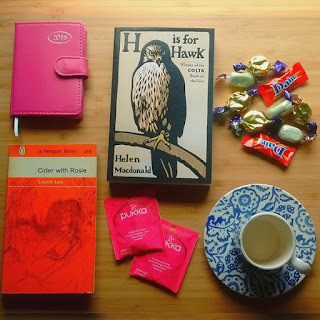 Monthly surprises in this package include: a vintage paperback selected just for you , a handmade book bag, a library-style card to catalogue your growing collection and random surprises such as bookplates, a bookmark, a pencil, tea or who knows? When signing up to Prudence and the Crow, you will be able to choose the genre of books you will receive from a predetermined selection or fill in the questionnaire to help the team discover the perfect read for you. Packages cost just £15 a month with the option to sign up for 1, 3, 6, 9 or 12 months, or as a recurring subscription. Find out more on the Prudence and the Crow website. 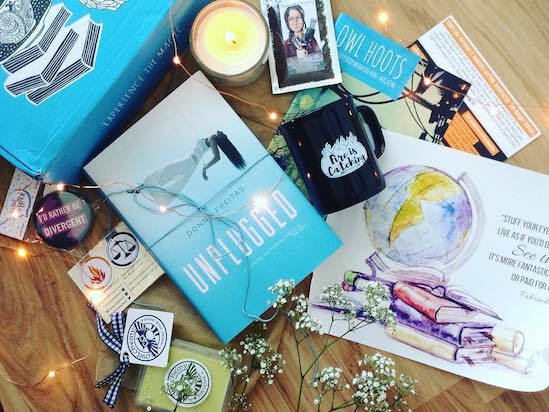 Fairyloot appears to be a popular choice for British book lovers. Based in London, this service hones in on the YA/Fantasy genre, and includes a monthly provision of a recently released title accompanied by a range of related goodies. Subscriptions cost £26 per month plus shipping (currently £3.95 for delivery in the UK) which makes it a bit pricier than other subscriptions, but for a brand new hardback and accompanying merchandise we think it is certainly worth the cost. Find out more on the Fairyloot website. 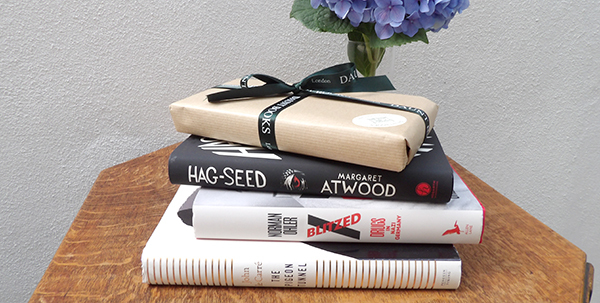 We offer a personal, bespoke literary remedy for life - a beautifully wrapped treat for yourself or as a gift. 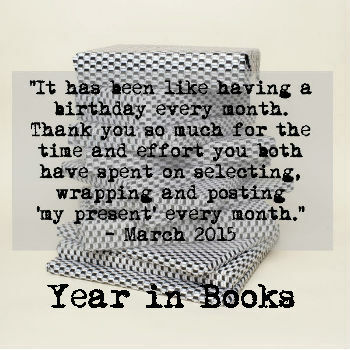 Unlike other book subscription services, the book (or combination of books) that we 'prescribe' to you each month is completely tailored to you - not just your tastes and reading history, but your well-being. Our specially designed questionnaire takes in to account you mood, situation in life, daily routine, pet peeves - and everything in between, and allows subscribers to update their details each month for a completely intimate, memorable, hopefully life changing reading experience. Whatever your age, gender, taste or even if you are not a bookworm yourself yet - we are here to help. Several services are offered by Warm Vellum, including a monthly Book Box which includes a new hardback title, a vintage Penguin or Pelican, sweet treats and book-themed gifts; a "Year in Books", and a "Bespoke" monthly book subscription. Monthly subscriptions start at £23.99, though if you prefer to try the service out first you could order a one-off bundle containing two books (but none of the extra goodies) for just £15.99. Delivery is in addition to the cost of subscription and varies depending on the length you choose, but it is very reasonable and costs from just £2 per delivery. Learn more and subscribe over at Warm Vellum. 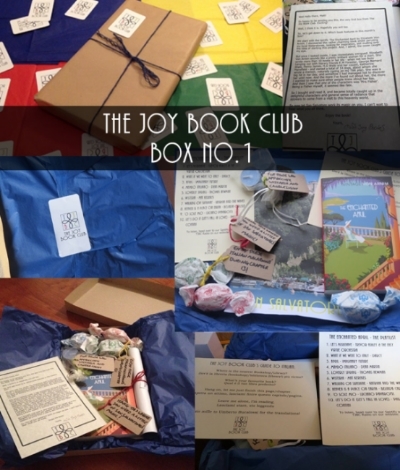 The Joy Book Club appears to be a relatively new subscription service which began as a project on Indiegogo. Each month we send out boxes of BookJoy, containing a great lesser-known book, along with a few gifts themed around that book - these will usually include something yummy, something scented, something cool to display/use and a funky playlist to listen to whilst you enjoy what you're reading. A monthly box costs £15.99 including delivery. Find out more on the Joy Book Club website. 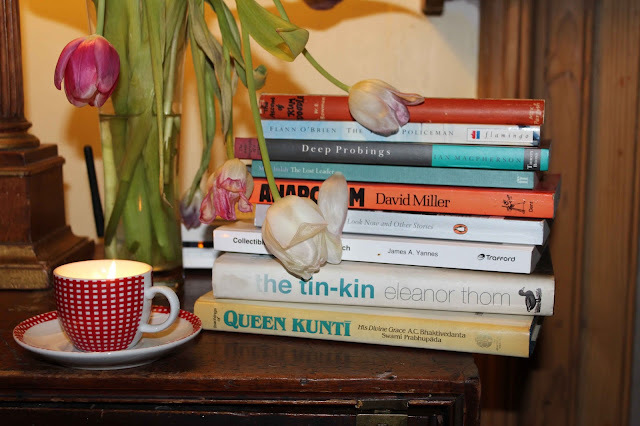 Lutyens and Rubenstein is a beautifully curated independent bookshop in Kensington, London. A range of "bespoke services" for bookworms are offered, such as "A Year in Books", the Boarder's Book Club and the Children's Year in Books. These services are a little pricier than others, starting from £40 for the three month paperback option. However, the service is truly bespoke, requiring careful consideration of a questionnaire in order to tailor posted literature to individual tastes. Learn more on the Bespoke Services page of the L&R website. 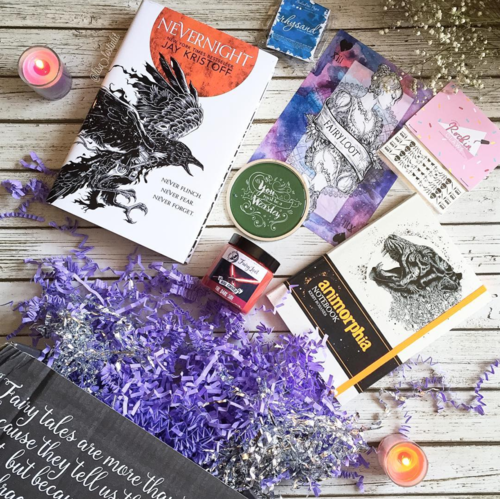 The Nerdy Bookworm Box is a curated monthly subscription themed around fantasy and science fiction. Each month, subscribers receive a new hardback plus 4-6 themed goodies and an exclusive mini magazine. Many of the items included are exclusive to the Nerdy Bookworm. I'm unsure of the monthly cost for subscribers as the current edition is sold out, but you can still order a one-off box for £29.99 which includes shipping within the UK. Find our more and sign up to the waiting list over on The Nerdy Bookworm website. Illumicrate is a quarterly book subscription package run by a lifelong bibliophile and geek fangirl, Daphne. Subscriptions cost £29.99 per quarter/crate which includes free shipping within the UK. Learn more and subscribe over on the Illumicrate website. The Willoughby Book Club is an award-winning subscription service based in the small, south Leicestershire village of Willoughby Waterleys. Several subscriptions are offered, from a children's book club to a fully bespoke service, with prices starting at £29.99 for 3 months. Visit the Willoughby Book Club website to subscribe or learn more. If you love books and feel like leaving your literary comfort zone, then the Random Book Club is your new best friend! By subscribing for a year, you can experience the sensation of browsing dusty shelves from your own doorstep, with the surprise of not-knowing hat you will receive each month. Books are selected from the largest second-hand bookstore in Scotland, and subscriptions cost £75 for a whole year, including postage within the UK. Learn more at The Randon Book Club website. The Big Green Bookshop was founded in 2008 by Tim West and Simon Key when the chain store they had worked in closed down. Two different types of subscription are available: for adults or children, with prices starting at £25 including delivery within the UK. Learn more on the Big Green Bookshop subscription page. 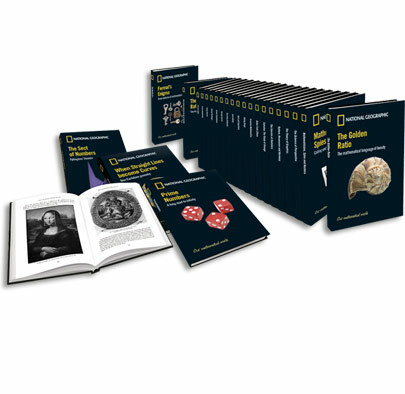 Our Mathematical World is a new subscription service from The National Geographic Magazine providing monthly deliveries of mathematical books. The regular price is £8.99 per issue/book, which translates as £35.96 per month, though there are reductions for the first and second issues, and the alternative premium package which includes additional wooden puzzles. Daunt Books is an independent, London-based bookseller. Several subscription services are available, including fiction, non-fiction, children's books and titles from Daunt Publishing. Prices start from £148 for a year of paperback reading material, or from £40 for a four-book Daunt publishing subscription. Learn more on the Daunt Books website. Persephone Books reprints neglected fiction and non-fiction by mid-twentieth century (mostly) women writers. All of our 117 books are intelligent, thought-provoking and beautifully written and are chosen to appeal to busy people wanting titles that are neither too literary nor too commercial. 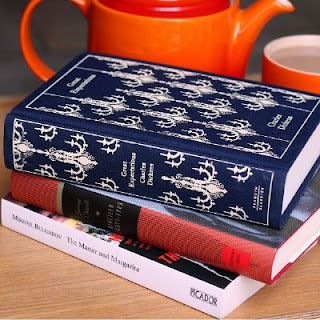 We publish novels, short stories, diaries, memoirs and cookery books; each has an elegant grey jacket, a ‘fabric’ endpaper with matching bookmark, and a preface by writers such as Jilly Cooper, David Kynaston and Elaine Showalter. Subscriptions to this London-based publisher start from £60 for six months. 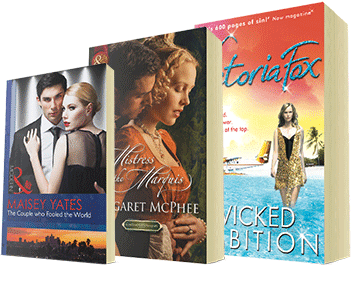 You can opt for surprise titles or select which book you would prefer to receive each delivery from the options available at the point of subscription. Learn more or subscribe on this page of the Persephone website. Do you love romantic fiction? If so, a paprback subscription to Mills and Boon could be the perfect choice for you. Mills and Boon pffer various subscription types and romantic genres, starting from £15.99 a month for four paperbck titles. Learn more and subscribe on the Mills and Boon website. 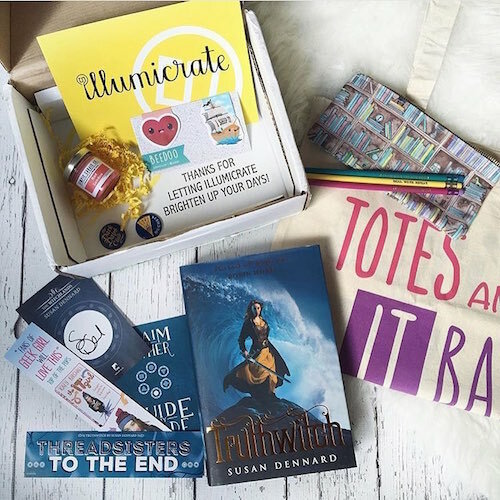 My Bookish Crate is ideal for those who enjoy YA novels. Each month's crate includes a new YA hardback plus 4-6 related goodies, many of which are exclusive to this subscription service. It seems as though crates sell out quickly, so be sure to check back often to see whether new crates are available. The crate costs £28 a month, plus shipping. Learn more over at My Bookish Crate. Book and a Brew combine a mystery monthly hardback with a package of specially selected tea. Priced at £12.99 a month for British subscribers, this is among the cheaper end of book subscriptions. Learn more by visiting the Book and a Brew website. Heywood Hill of Mayfair in London may be considered the "chicest subscription on the block". This is a refined book subscription service with a huge range of options to choose from, including a year in books, subscriptions for children, books with Intelligence Squared or Literary Review, and even books for expats! Possibly my favourite (albeit, the most expensive) option would be the Year of Books for Anglophiles, a quarterly subscription which includes ten important or beautiful, classic or contemporary books recently published in Britain, a mixture of fiction and non-fiction, each of which is accompanied by an illustrated Heywood Hill Bookplate. Priced start from £100 for a bi-monthly subscription, up to £950 for the Year of Books for Anglophiles. Learn more over at the Heywood Hill Subscriptions Page. Which one is your favourite? Please feel free to share your thoughts in the comments section below.